The Pakedge WR-1 with BakPak Lite is a powerful, high-performance wireless router designed for today’s small connected home. The WR-1 combines high-speed routing and advanced wireless technology to meet the demands of today's connected home and delivers an exceptional experience at an affordable price. Delivering 500 Mbps of WAN-to-LAN throughput, dual-band 802.11ac wireless, 2x2 MIMO antenna arrays for data rates of up to 1300 Mbps, and advanced 802.11ac Wave 2 MU-MIMO with beamforming technology, the WR-1 wireless router is engineered to deliver a consistent, performance-driven wireless experience that customers with a small home can depend on. Using the quick start setup wizard, you can have your customers up and running in minutes. If a home requires additional coverage the WR-1 will seamlessly push the configuration to up to two additional WAPs. WR-1 also delivers secure remote access (OpenVPN and Pakedge DDNS), the latest security encryption, and advanced wireless features to ensure better performance for even the most latency-sensitive audio/video streaming applications. 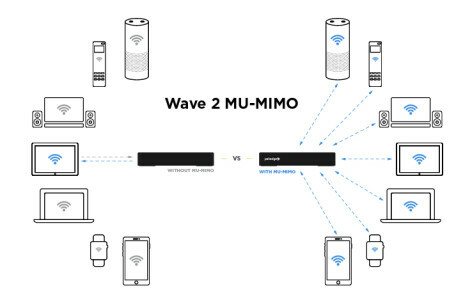 Wave 2 MU-MIMO is the latest, most advanced wireless standard designed to increase wireless performance. MU-MIMO (multi-user, multiple input, multiple output) beamforming technology allows the WR-1 to transmit data to multiple devices simultaneously instead of only one (standard WiFi). BakPak Lite is designed to provide remote cloud monitoring and configuration to the WR-1 Wireless Router. Using BakPak, you can remotely monitor and configure your customer’s WR-1 without having to roll a truck. In just a few clicks, register your WR-1 with your new or existing BakPak account and configure secure remote access to your WR-1 using the built-in BakPak DDNS and VPN to start managing your customer’s network remotely and securely. 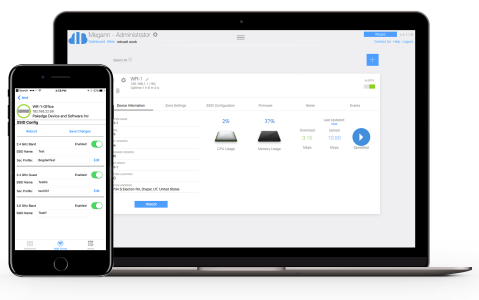 Remote monitoring and configuration for the WR-1 — Using your mobile phone or the BakPak web interface, remotely configure WR-1 wireless settings, including LAN and SSIDs, security profiles, and the guest network. Real-time alerts — Receive WR-1 online/offline status notifications through text, email, and the BakPak app. Real-time and historical analytics — Monitor the health of the Internet connection and speed tests with event logs. Select a date range to review saved Internet speed tests and event logs for faster troubleshooting. Remote WR-1 reboot — Remotely power cycle the WR-1 to keep the network running smoothly. Single BakPak dashboard — Monitor all of your customers’ networks under “one virtual roof,” your BakPak dashboard. View your customers’ sites from a list view or geographic map view that shows the health and location of each customer’s network. Mobile management — Monitor, configure, reboot, and receive alerts for the WR-1 using the BakPak app.